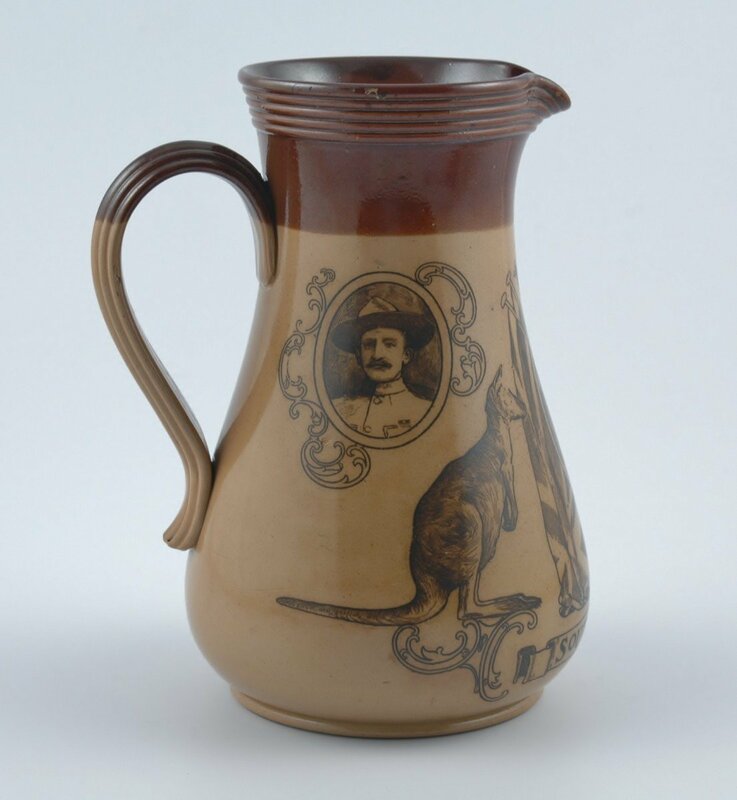 Doulton Lambeth Earthenware Boer War Jug- Circa 1900. 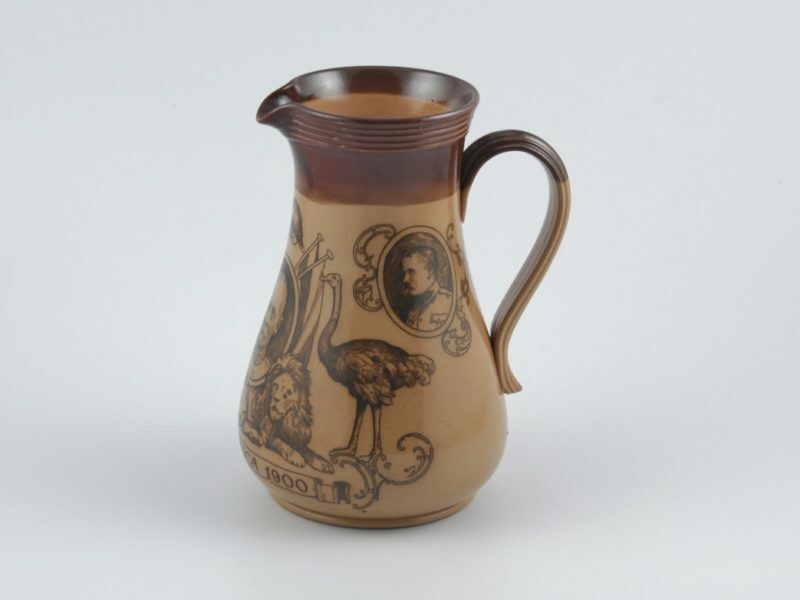 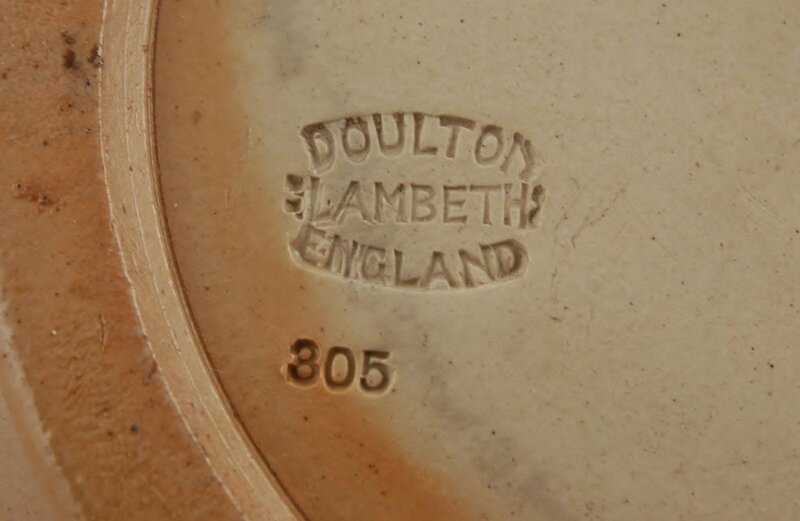 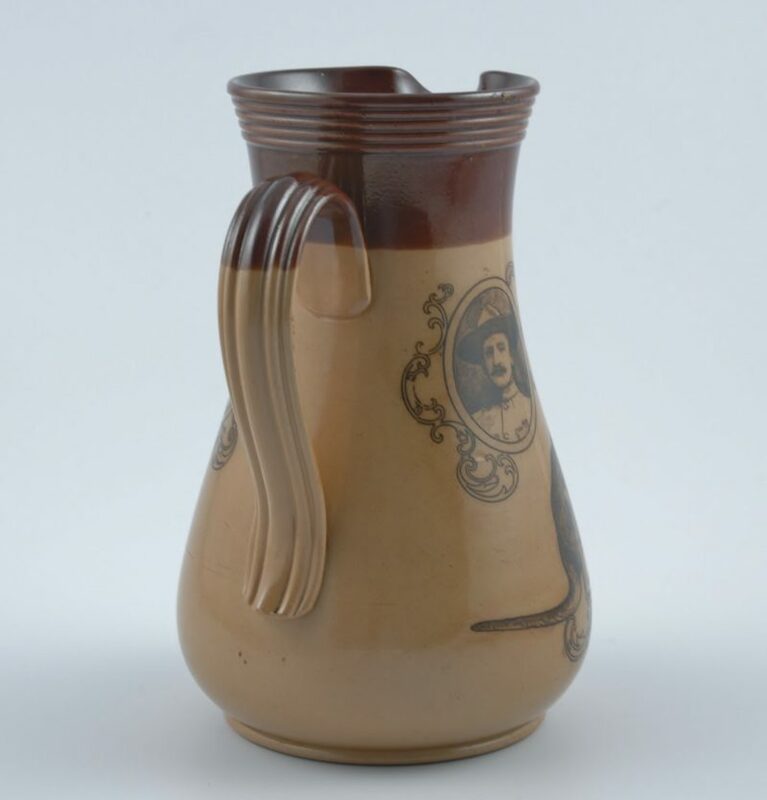 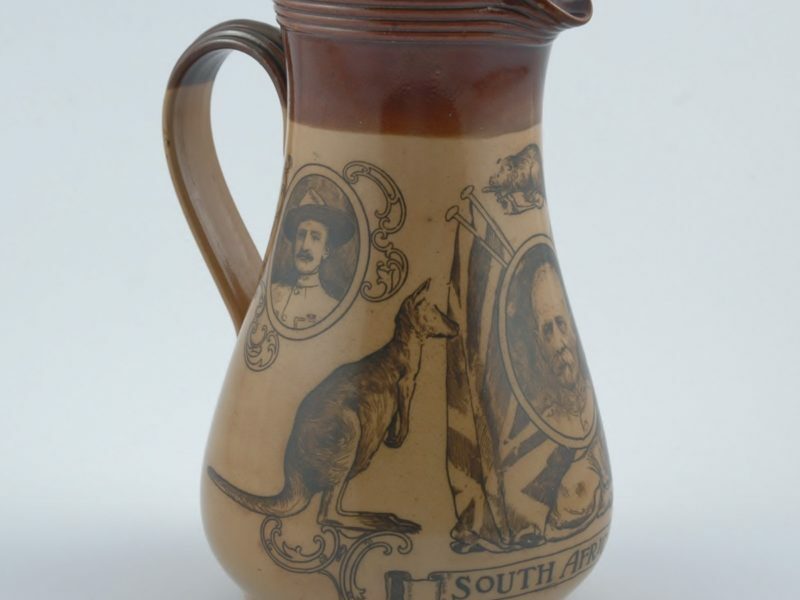 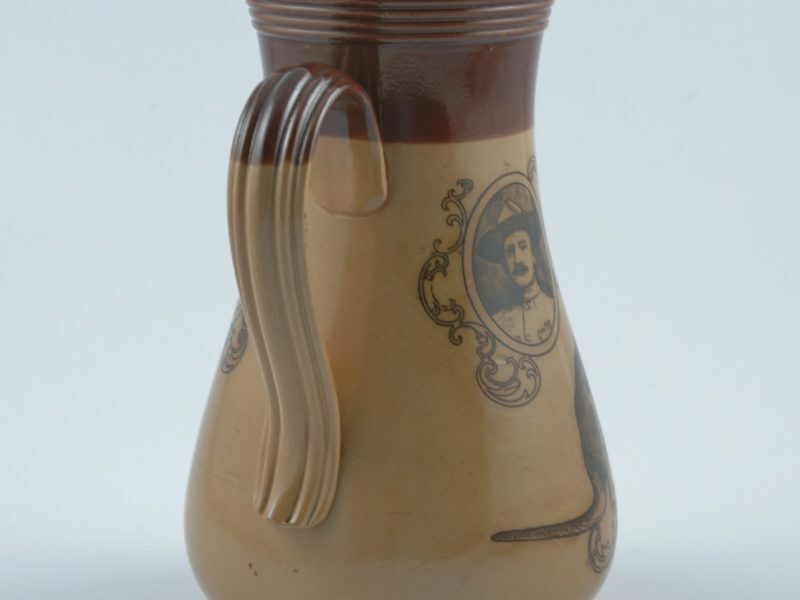 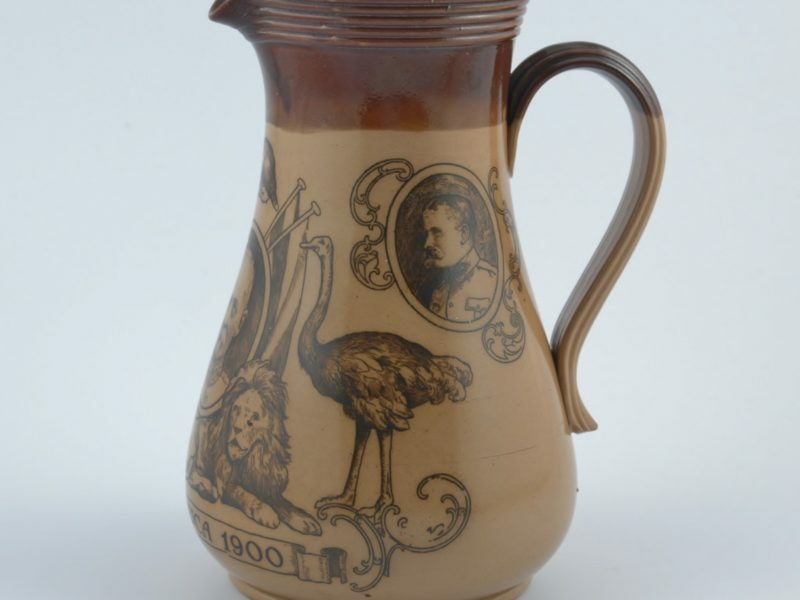 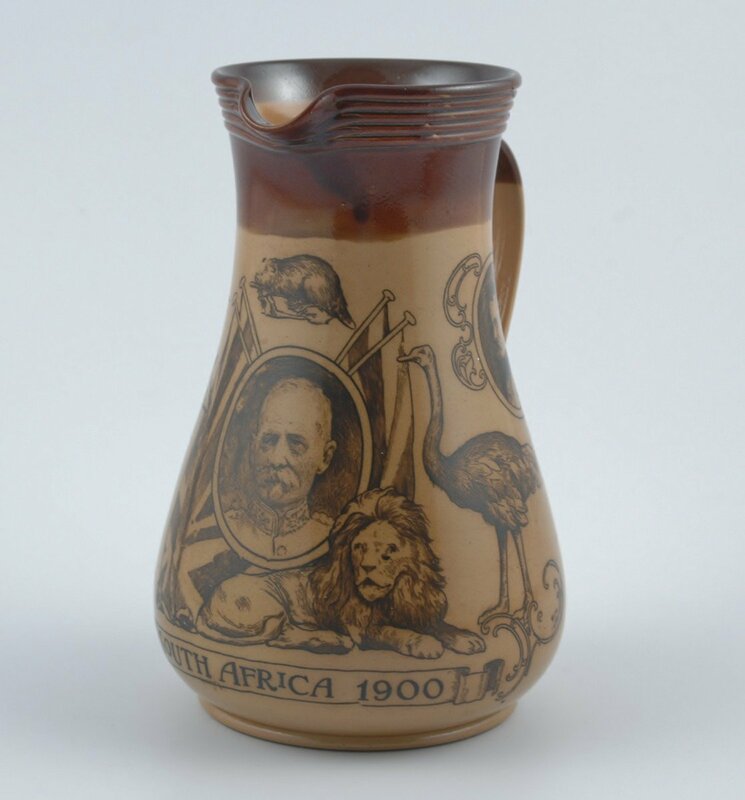 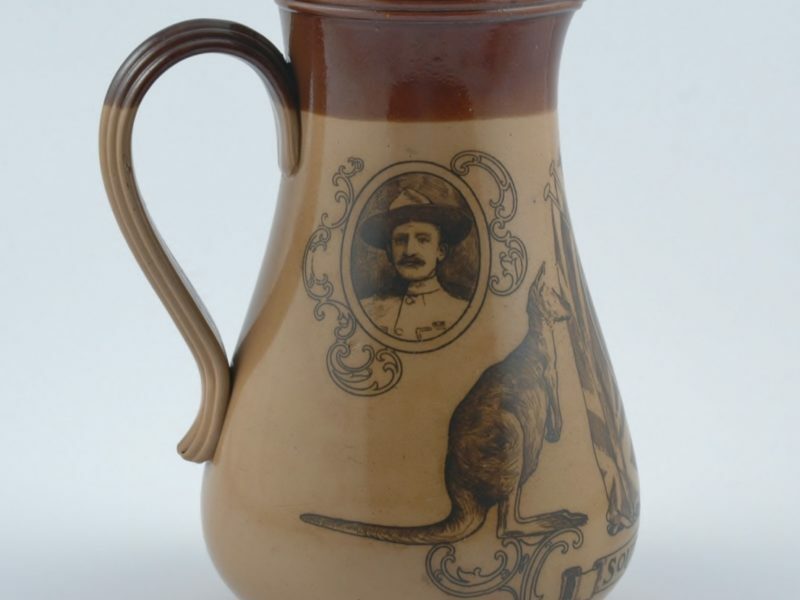 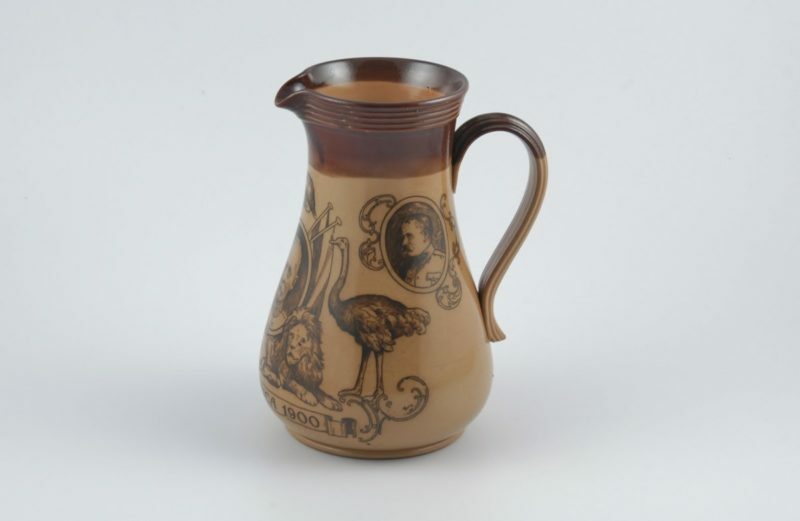 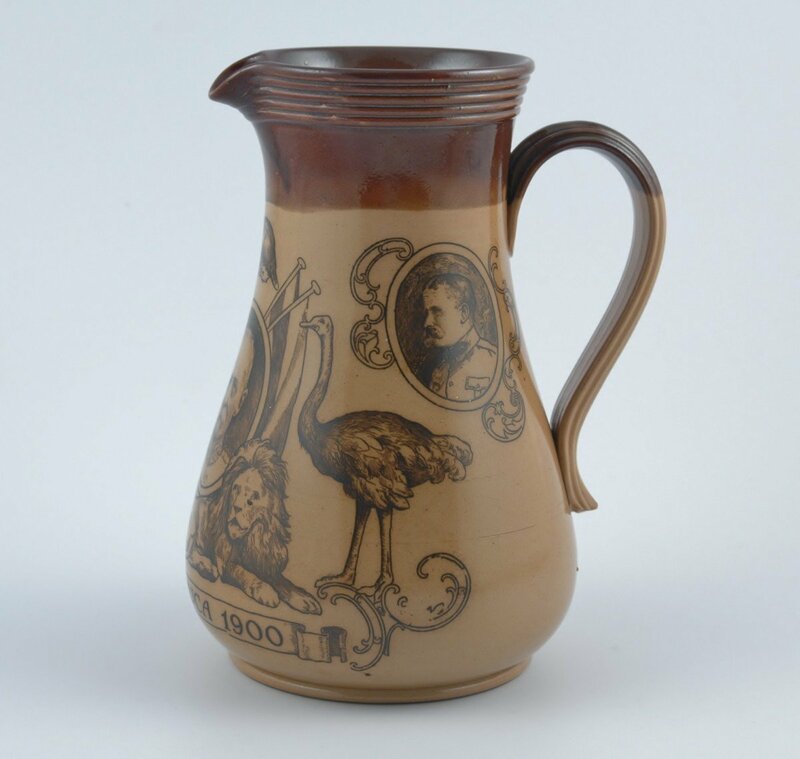 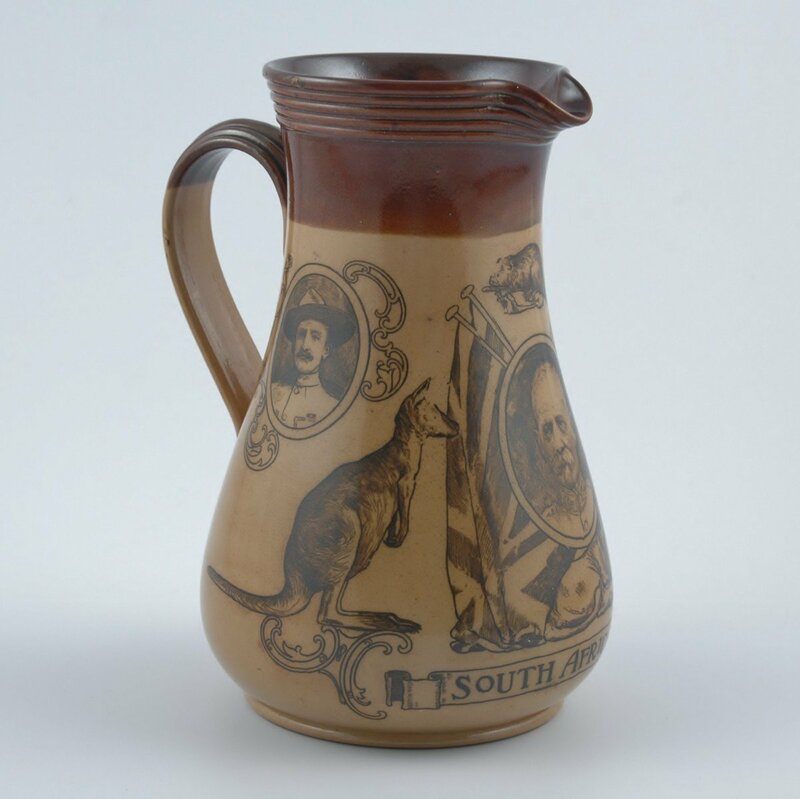 Doulton Lambeth Earthenware Boer War Jug, circa 1900. 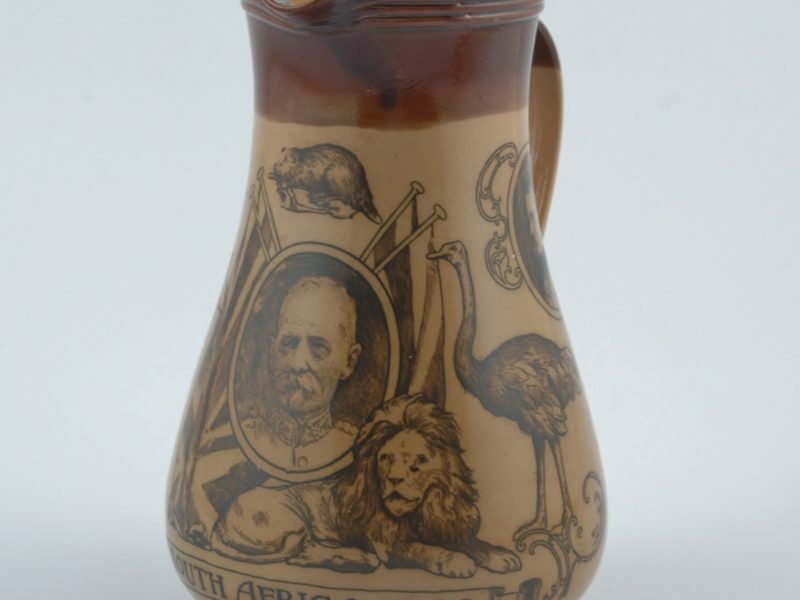 Illustrated on page 2 of ‘Boer War Memorabilia The Collectors Guide’ by Pieter Oosthuizen. 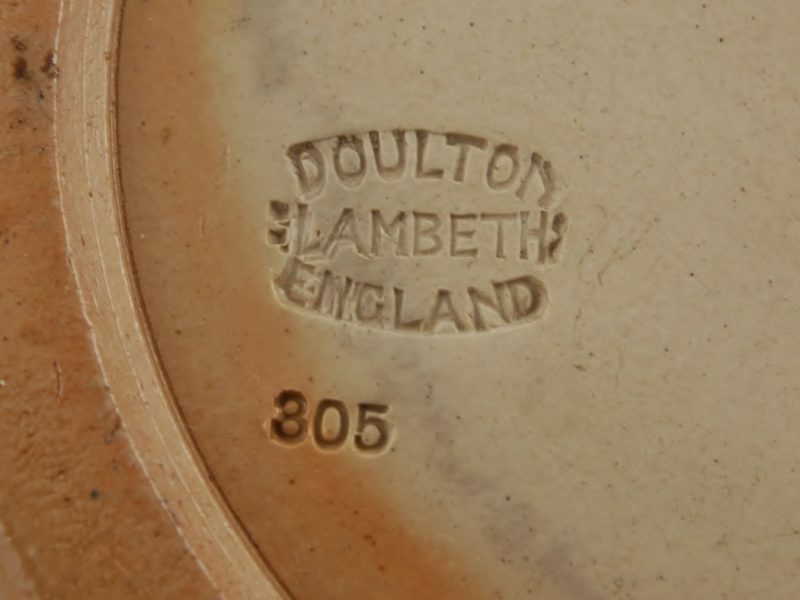 Dimensions: 21 cm high by 13,4 cm at the base.